Flexibility is a must in the modern workplace. 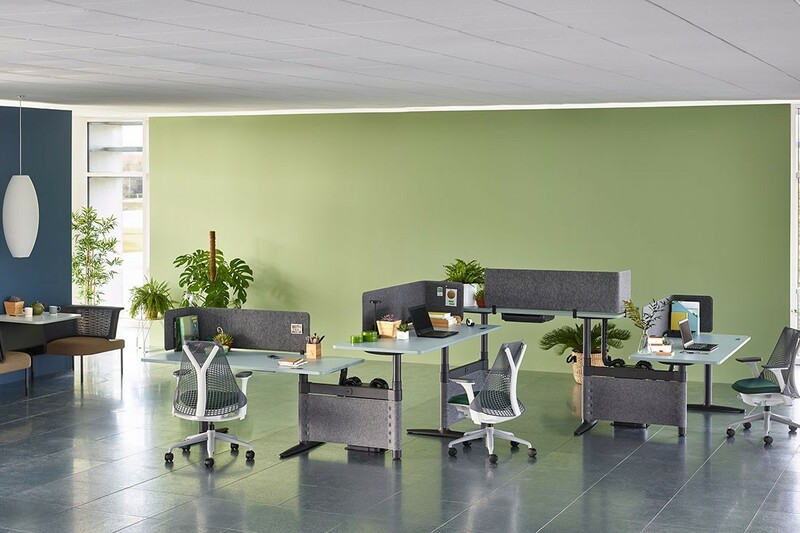 The sit-to-stand Atlas Office Landscape delivers with height-adjustability and collaborative work solutions in one neat package. As a designer, it would be almost impossible to have not come across an Eames or Aeron chair in your career. 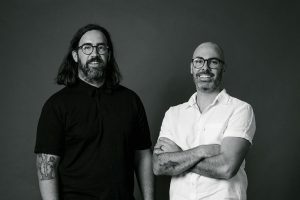 These design icons have set a standard for the Herman Miller brand, and although each of the products captures a unique audience – the office and the home – they both speak of the company’s long-running, design-orientated history. What might be a little less known, but is no less groundbreaking in its approach, is Herman Miller’s newly released Atlas Office Landscape. 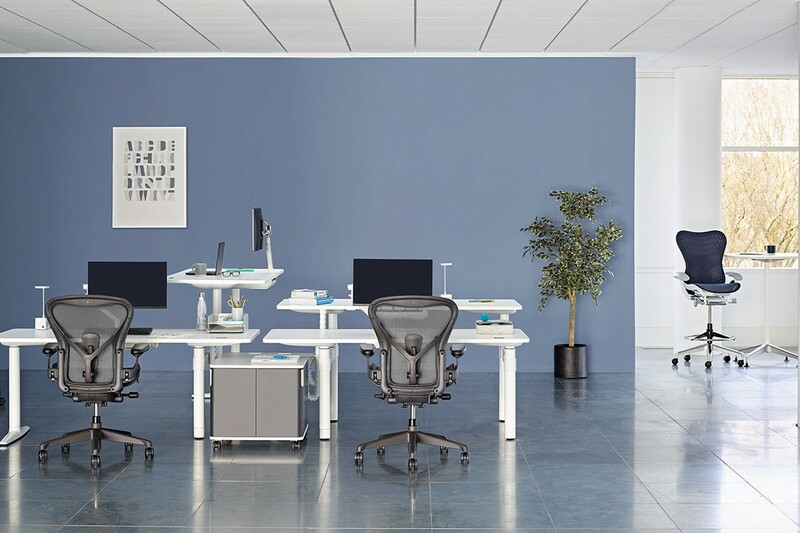 Just as the Aeron chair changed perceptions of executive office task chairs forever, the Atlas Office Landscape is doing the same thing for workstation solutions. Work, and the way people work is changing. So too must our desking systems. What you may not realise is that Herman Miller has been researching and developing new desk options, including sit stand, for over 50 years! Herman Miller has always been at the forefront of design, including the evolution of flexible workstations. A quick look back at the Action Office System of 1964, which followed on from Frank Lloyd Wright’s innovative open plan approach to office spaces, is a testament to that. This system was revolutionary when it was released. It was the first of its kind to foster ambient awareness and teamwork while catering to an individual’s unique activities. 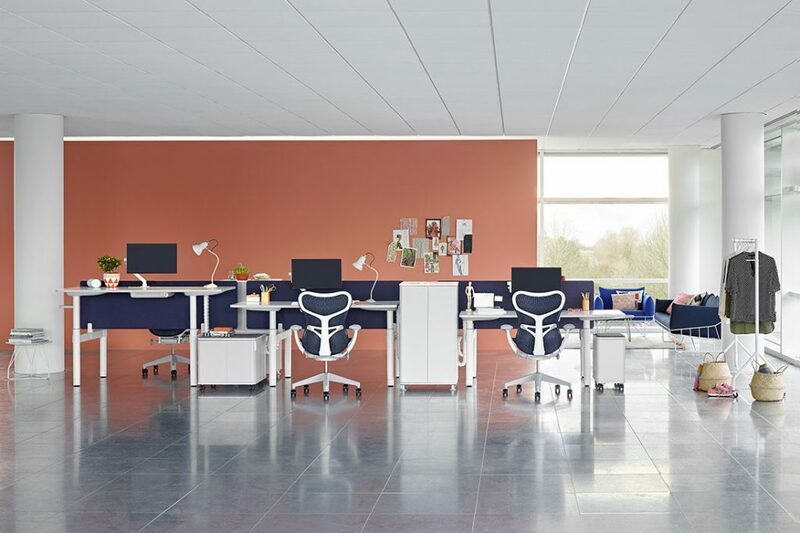 Herman Miller then started to gain worldwide recognition for its modern workplace solutions. Designed by Robert Propst, the standing desk included in the Action Office System range stood as an island of something new and progressive. Propst argued that it “would do more than anything else to overcome sedentary decline.” A rather prescient statement when considering the latest headlines on the health of today’s sitting workforce. From that first incarnation in 1964, Herman Miller has continued to modify and research workspace desking ever since. Some of the most recent additions to join the line-up are products that are closer to a kit-of-parts, emphasising the different possible variations. It’s flexibility at its most refined. Today’s modern workplaces are built on a need for flexibility. 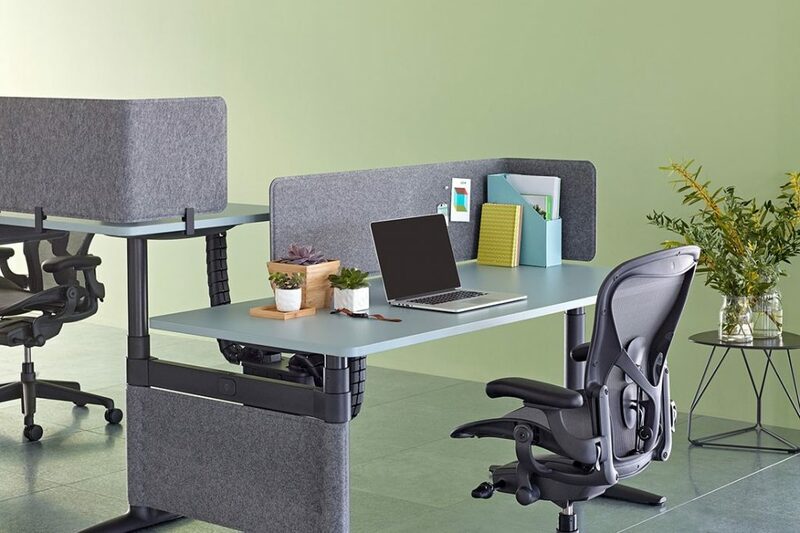 The Atlas Office Landscape takes that one step further with a sit-to-stand solution that combines height-adjustability and collaborative work into one solution. It features a ‘connected leg’ that allows other desks to attach together in endless configurations. With a unique ‘beam-less’ structure, the workspace is less cluttered and people can sit, stand or move around it without any hassle. Shared cable management and personal storage can be built into the workspace – meaning that spaces between desks are also utilised. Designed by Tim Wallace, the creative mind behind the award-winning Abak Environment, the Atlas Office Landscape is an exemplary result that demonstrates a response to the new culture of workplace design. All products within this collection assimilate the ever-changing requirements of the commercial landscape. The result of an idiosyncratic design spirit, it is as innovative as it is functional. 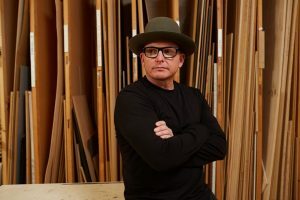 In this era where there are seamless connections to people and machines, where information is instantaneous, where work and home life merge and where creativity and productivity are ever increasing, it is imperative for environments and objects within these environments to respond in the same way. 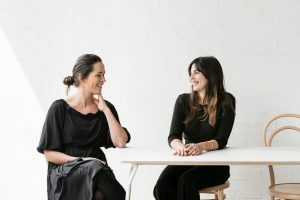 Despite its origins, workplace environments no longer revolve around repetitive processes, but rather encourage connection, interaction and collaboration. 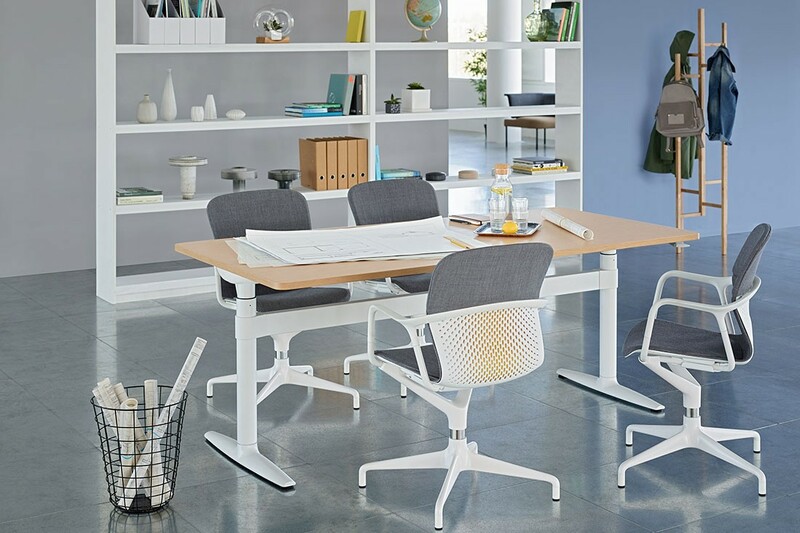 Discover more Herman Miller solutions that accommodate for today’s workplace behaviour, here. Designer Rugs Evolve Awards Are Here! Calling all designers! 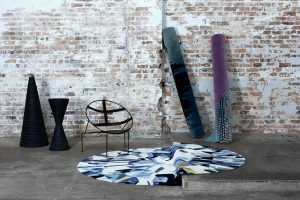 With 30,000AUD worth of prizes up for grabs, Designer Rugs wants to see your very best rug designs for its Evolve Awards and for the first time it includes Asia! Entries open now!